The Jim Henson Company, an established leader in family entertainment for over 60 years, is developing a new live-action puppet preschool series based on Slumberkins, a leading educational children’s brand working to teach positive social- emotional life skills to both parents and children. The announcement was made today by Halle Stanford, President of Television, The Jim Henson Company. Co-founded in 2016 by Callie Christensen and Kelly Oriard, an educator and a family therapist respectively, Slumberkins strives to empower children and parents through the use of their characters to help navigate life in a balanced way. Through the interactive board books and storylines that incorporate therapeutic techniques that accompany each creature, parents are able to create a deeper, more meaningful bond with their children and turn to the brand through all developmental milestones that children experience. “We know that parents want to help their kids be prepared for the challenges of the world. There is a lack of tools to help teach children how to handle their ‘big feelings’ in a healthy way. Slumberkins provides support to kids and families through books, plush and soon, with the help of the Jim Henson Company, through video entertainment. We are honored to be working with the great people at The Jim Henson Company that value creating intentional and inspiring programming for young children,” explains CEO/Co-Founder Kelly Oriard. The Jim Henson Company has remained an established leader in family entertainment for over 60 years and is recognized worldwide as an innovator in puppetry, animatronics and digital animation. Best known as creators of the world-famous Muppets, Henson has received over 50 Emmy Awards and nine Grammy Awards. 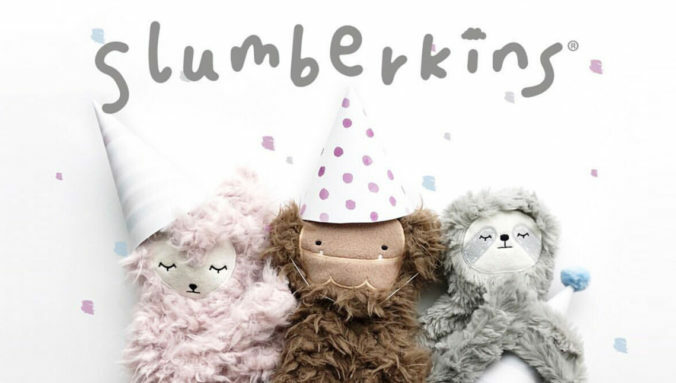 Slumberkins® is a leading educational children’s brand working to empower parents to teach positive social-emotional life skills to their children. As two moms and educators, Callie and Kelly are on a mission to use their combined backgrounds to create a more meaningful children’s educational product line. Slumberkins are easily implemented into everyday family routines to support social-emotional learning, providing digestible therapeutic techniques for parents to use, and normalize conversations about big feelings. The mission of the brand continues to resonate with the Millennial and Gen Z generations of parents seeking out more intentional products to bring into their homes and take action in their child’s development.